Last updated February 28, 2019. Posted March 27, 2018 in Interviews. This post contains affiliate links. What on earth is an Academic Athlete? I recently received an email from Dr Eric Benchimol telling me that he had cited The Productive Physician in his recent publication. It turned out he was referring to an academic publication in Gastroenterology. Although flattered to feature in such a prominent academic publication, I was also intrigued. Which brings us back to the question: What is an Academic Athlete? Also, how & why did a couple of doctors publish an article about personal productivity in the highest ranked journal in their field? I reached out to Eric and his co-author Dr Richard Keijzer to ask these questions and more. We spent an hour chatting about personal productivity, medicine and life. Throughout this post, I will quote from their article as well as from our conversation. For the journal article, I refer to them as ‘Benchimol and Keijzer’, while for the interview either ‘Eric’ or ‘Richard’. This information applies to anyone wanting to be more effective in their professional life, not just doctors. What is an Academic Athlete? Benchimol and Keijzer cite a 2001 Harvard Business Review essay on becoming a “corporate athlete”. Authors Jim Loehr and Tony Schwartz describe the “ideal performance state” as being able to sustain high performance over time. They visualise the interrelationships between physical, emotional, mental and spiritual domains as a pyramid. There are rituals linking each level. In effect, we realized, these executives are “corporate athletes”. If they were to perform at high levels over the long haul, we posited, they would have to train in the same systematic, multilevel way that world-class athletes do. Academic clinicians combine multiple tasks involving patient care, research, teaching, and administration. This mix may inhibit your ability to achieve your goals or the expectations of your superiors. The establishment of goals, objectives, routines, and self-restraint all resemble the intensive discipline of athletes required to achieve the highest levels of performance. Athletes cannot simply “show up” to work and expect to achieve their best. have to change or oscillate between high spurts of intense training and performance, but also … make sure that they … take enough rest and sleep. nobody can do it forever … work that hard and not … take care of ourselves. Because you’re not going to be performing at [your] best state if you only take away your energy and just burn up your energy and never recover. 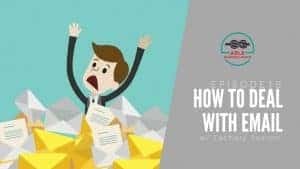 Download a cheatsheet of the tips contained throughout this article. You can also have a pdf of this post for later reading. Go to the full page to download a cheatsheet of the tips contained throughout this article. the act of being purposeful and achieving one’s goals in an efficient and effective manner. They suggest establishing goals for several timeframes including 3-12 months, 2-5 years and 10-20 years. I find 10-20 year goals almost impossible to manage, but I can see the value in short- and medium-term goal setting. I have recently completed a reflection and goal-setting period that set my goals for the next quarter and over the rest of 2018. Benchimol and Keijzer recommend using the SMART goal system. 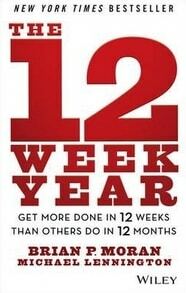 I have had great success with the 12 Week Year system, therefore I am planning to complete several 12 Week blocks throughout this coming year. You could imagine them as ‘sprints’ which are long enough to achieve something meaningful while not so long that the end is out of sight. I have scheduled them around periods when I know I won’t have as much control over my time – for example, when completing a period of inpatient ward service. Goals should be reviewed regularly and may be revised when circumstances or priorities change. One of the reasons I like the 12 Week Year strategy is the inbuilt accountability it requires. Measurement of progress is fundamental to goal achievement. Benchimol and Keijzer discuss productivity systems for a significant part of their article. Like many others, they recognise David Allen’s Getting Things Done ® (GTD) as influencing their approach. 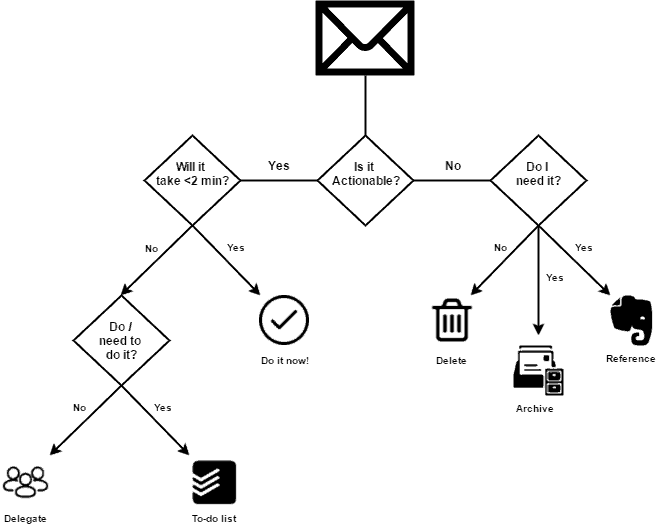 They mention several components of traditional GTD. 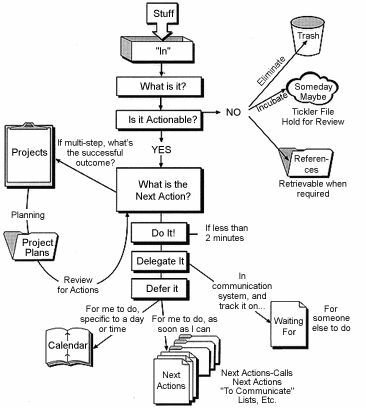 These include Capturing thoughts, tasks and goals in a trusted system, and Processing by ‘touching it once’ and deciding whether to do, delegate or defer. I know a lot of physicians with ADHD; Getting Things Done does not work for them. They just can’t … remember to write it down at the time. Scheduling and blocking time and really filling their calendar with minute by minute what they’re going to be working on at that time, seems to work better … than the Getting Things Done method. He concluded that the productivity system one adopts depends on personality and goals. I agree. 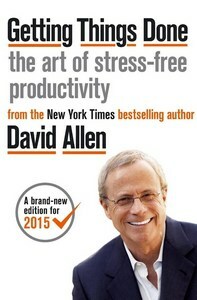 Although I once used GTD in the strict sense David Allen outlines in his book, I no longer practice GTD in that way. I have adapted the system to suit my needs. Other parts of my system have developed in response to the various demands on my time. We recommend a structured journal entry to gather your thoughts and goals at the beginning or end of the day. Examples of questions that could be answered in a journal entry include: “What did I learn yesterday?”, “What did I accomplish yesterday?”. 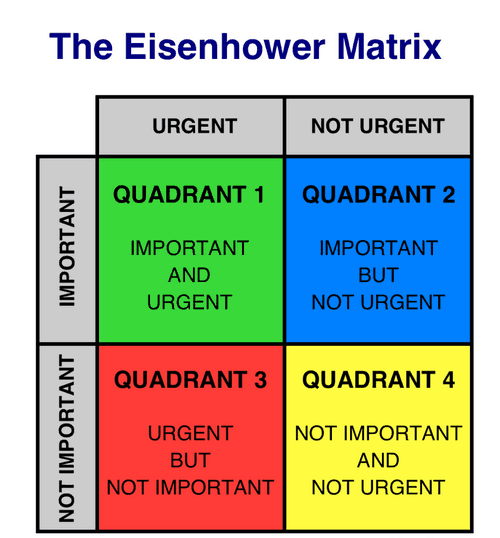 Grouping tasks into an Eisenhower box can help you to prioritize your day and determine whether these tasks are important and/or urgent. 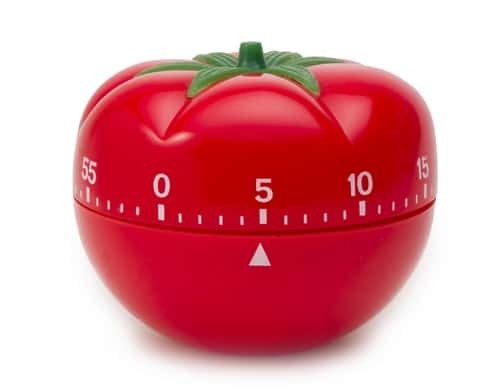 using a timer to divide the day into focused work sessions (without interruption) interspersed with scheduled breaks (with tracking of segments achieved on a daily/weekly basis). Although Richard noted he was less data-driven than Eric, he also tracks Pomodoros and to-dos. I track the specific lead measures I define related to my 12 Week Year goals. Lag measures are those of the result you’re trying to achieve. Lead measures are defined as being predictive and influenceable. Predictive means that “if the lead measure changes, you can predict that the lag measure also will change”. Influenceable means that you have control or influence over it. I do track my goals at the end of the year, including the number of publications that I’m aiming for (within reason), where I’m aiming to publish, what kind of grants I want to achieve. What did I learn yesterday? What are my goals or objectives for today; the top three most important tasks? How can I make today better? What am I thankful for today… what am I grateful for? What did I do to be a giving person yesterday… what did I do to be selfless and try to help somebody? Richard noted that he also uses a structured format but doesn’t write in his journal as regularly as he’d like. He is aiming for more consistency this year. One of my goals for 2018 is to maintain a journal, and MITs are part of my template. I am using a text expansion snippet on my computer and phone to generate an entry in the app I am using (Journey). 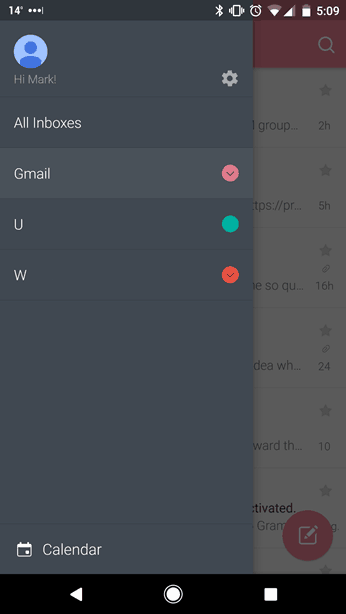 I have Todoist set to remind me to complete my journal every day at 9 pm . ## Did I complete my MITs? My questions are similar to those from Benchimol and Keijzer’s article, but I based my version on the discussion between Mike Vardy and Zachary Sexton on The Productivityist Podcast. Their conversation about the practice of journalling is insightful. Anyone interested in developing a habit of writing in a journal should follow the link and listen to the episode. Would you like a copy of my structured TextExpander journal snippet? Download it now, and I’ll also include a cheatsheet of the tips contained throughout this article and a pdf of this post. Go to the full page to download it now, and I’ll also include a cheatsheet of the tips contained throughout this article and a pdf of this post. Most successful athletes use routines to physically and mentally prepare themselves for their best performance. Similarly, we can use routines and rituals to prepare for the day or wind down after a difficult day. Eric reported he has a thirty-minute routine he goes through each morning. This is simple: fifteen minutes of journalling and fifteen minutes of meditation. He exercises on three or four days each week, usually before he starts his morning routine. I have tried to have an early morning routine in the past, with mixed success. 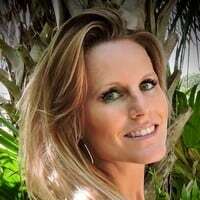 I rose at 5 am for months, doing exercise and meditation before sitting down to write. It felt good. I was productive. I was rostered back onto overnight call for my hospital, which means 10-15 calls during the night. As I had no control over when I went to bed and how consolidated my sleep period was, I couldn’t continue rising early. I needed to sleep in (relative to rising at 5 am) to function. After that period of service finished I should have tried again, but never managed to get the motivation to start over. One needs to persevere with habits for them to become second nature! 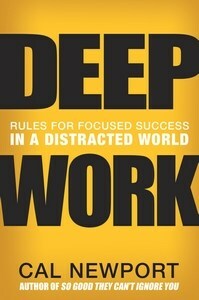 Cal Newport mentions the ritual he uses to finish his work day in his book, Deep Work. He explains it in a blog post available at his public website. First, he reviews his task lists and calendar. Then, he revises his weekly plan based on his progress that day. Finally, he turns off his computer and speaks out loud “schedule shutdown, complete”. This ritual reminds him that everything is in a trusted system and he doesn’t need to worry until the next day. Your routine should start 1 hour before your bedtime. Eliminating electronic screen watching helps to increase sleep quality. Applications to reduce the blue light emitted from phones and computer screens in the evening may provide benefit. You may review the tasks completed that day and prepare your goals for the next day to prevent your mind from dwelling on incomplete tasks in bed. Journaling, meditation, and reading may also be part of your evening routine. I am working on consolidating my evening routine, using an app on my phone called Fabulous. Created by the team lead by Dan Ariely at Duke University’s Behavioral Economics Lab, it includes all sorts of tricks and prompts to encourage the user to take action. My evening routine includes writing in my journal, meditation, turning my phone to silent and then going to sleep. I am struggling for consistency but look forward to later in the year when I can look back at my progress. I was interested to hear Eric and Richard’s thoughts on managing distractions. This is one of my most significant productivity challenges. 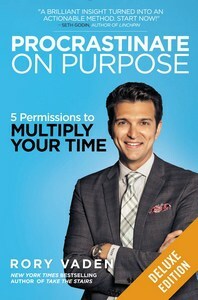 It is impossible to establish a focused work mindset while being repeatedly interrupted with tasks perceived as “urgent” (but frequently are not). 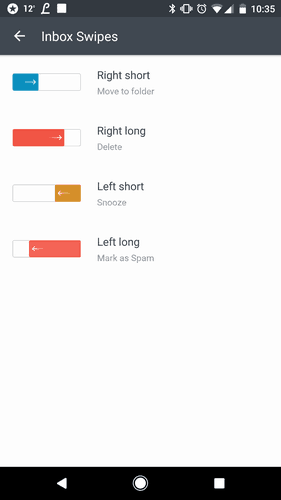 turning off all notifications (email, texts, social media, and pagers) while working on important tasks during scheduled blocked intervals of work. 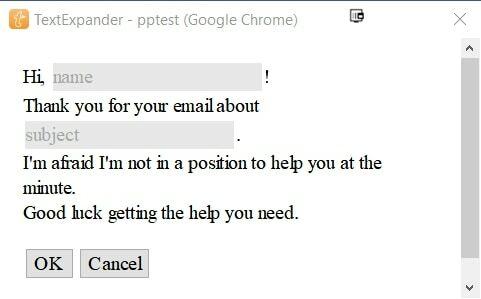 Processing your emails should follow certain rules: delete the email if unimportant, respond if it takes less than 2 minutes, put it in your task manager if it takes longer than 2 minutes (ie, do not use your inbox as a to-do list), or archive it for later reference if it contains important information. 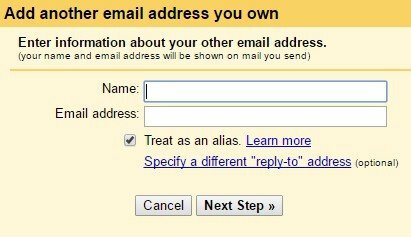 Try to touch an email only once to limit the time spent in your inbox. Eric reported using RescueTime to track his computer use and report back on how he is using his time. I use RescueTime as well and find the reports both alarming and informative. I have also experimented with Freedom to block access to certain websites. 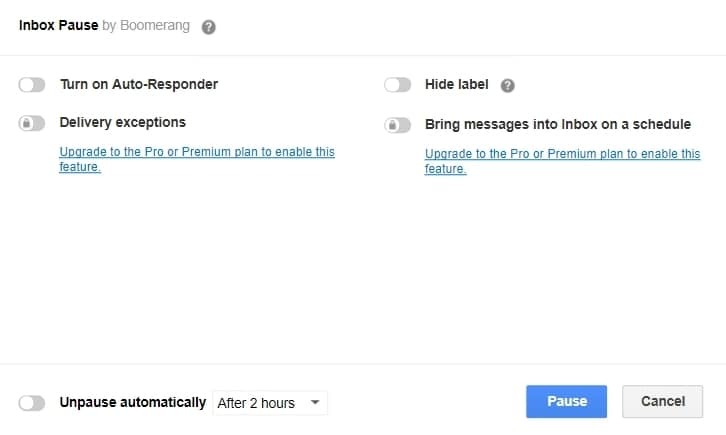 Finally, the Boomerang extension for Gmail allows you to ‘pause’ your inbox if you are someone who can’t bear to close your browser window. Another of my productivity challenges is ensuring I prioritise the work I need to do to move things forward among the administrative and ‘urgent’ issues that arise. Time for productive activities should be scheduled in your calendar, and ruthlessly protected. It is also important to schedule time for clinical and educational activities. Block your time to avoid others blocking you from achieving your goals! It is vital to establish the importance of your schedule with members of your team. We recommend establishing a weekly or biweekly time for review of patient issues, scheduled in your calendar. Being proactive about managing others’ expectations is an essential contribution to developing a culture that allows you to schedule (and protect) time for productivity. Saying “no” is another skill that many of us do not learn in our training or in medical school, yet it becomes crucial as our careers develop. The time spent on committees or in administration should not detract from our ability to produce at a high level. The times where I could say, well, I’m gonna sit down at nine o’clock, lay out everything in front of me and just get into the groove of writing the whole day, that’s gone. I do think you can train yourself to learn how to be very effective in shorter bursts of time, as long as you focus on what you have to do at that moment. 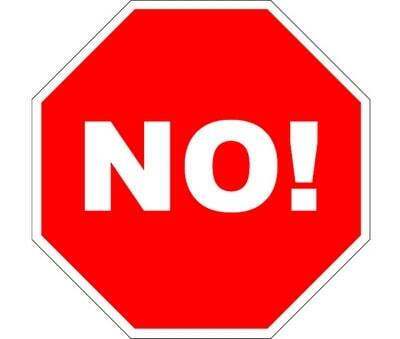 Developing a personal mission statement can also provide guidance about when to say “no”. 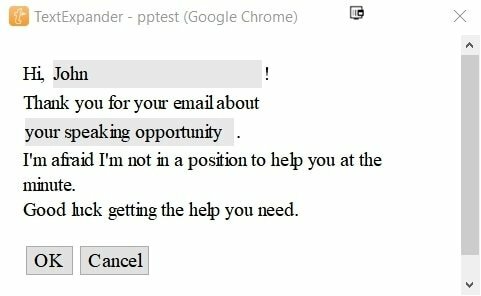 Recognising that an opportunity isn’t in line with your values and mission can make it much easier to decline. I think that’s where I want to try and experiment or focus on a little bit for this year. … try and not focus as much on just trying to publish my own next paper, but making sure that the system that I’m working in with people in the lab, … my colleagues and the clinical staff, that they’re kind of as good as they can be. It’s less about just the next publication or the next grant or the next project. It’s more about making sure that the system is … functioning so well that the rest will follow naturally. It seemed that we were talking about the next stage in the career of a Clinician Academic: the transition from being a junior to a leader. This includes leading and managing a team so that everybody gets lifted up. Yes, it might be faster if you just do it yourself right now. But … you will come to the point where you’re not going to be able to do it all yourself or you’re going to burn out. Part of what’s great about being a physician and … academic is building other people up and teaching them and having them go on to be able to teach other people. Whether it’s in your professional life or your personal life, the size of your success is usually determined by the strength of your team. So fill in your gaps and supplement your weaknesses by bringing on other people. That was the one thing I regret when I started out as a clinician scientist is that I didn’t learn earlier how to delegate. I was [for] the longest time the person to say, well, it would just be faster if I do it myself. But then by the time you get to the point where you get so busy that you don’t have time to do it yourself anymore, you have even less time to delegate and to explain to people how to do things. So I think that’s an important lesson for people early on in their career. They have to learn to decide what they need to do themselves and what they can pick to teach other people to do; to be more effective yourself and also train other people. Last chance to download a cheatsheet of the tips contained throughout this article, a pdf of this post and a copy of my structured TextExpander journal snippet. Go to the full page to download them now. I am happy using digital productivity tools, but that doesn’t mean they suit everyone. My partner prefers a paper diary and calendar, despite the clear benefits that might come with sharing our schedules with each other! You will likely adopt a mix of technology and traditional methods to achieve your goals. The advantage[s] of traditional pen and paper include privacy, lack of downtime, and the ability to visualize handwritten pages quickly and easily. Most important, writing things down is typically done more deliberately than typing, thereby improving memory, mindfulness, and reflection. 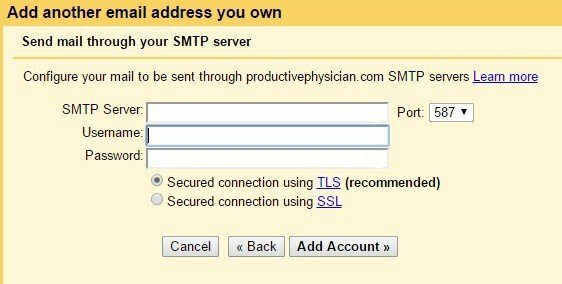 Technology can be distracting, but also provides advantages: easily adding or deleting entries, storage of unlimited and searchable reference material for projects that is available anywhere (in the cloud), sharing with collaborators, and detailed time logging of activities. I am planning to write further on the choice of digital productivity tools later in 2018. If you’re going to be an academic athlete, you will need to learn to care for yourself. Sleep, diet, exercise, and mindfulness have all been demonstrated to improve energy, productivity, and efficiency. No amount of extra time at your desk or in clinic is worth the damage caused by poor health. It is easy to equate productivity to more, more, MORE. Taking a step back for meditation or mindfulness might help you be more focused and efficient. If you could do more in the same amount of time, perhaps you wouldn’t need to chain yourself to your desk? 5 to 10 minutes of recovery is necessary for every 60 minutes of intense work. In our discussion, Eric was keen to cover this component of their article. Your most important task, your task that you achieve every week should include self care, should include managing your own health and managing your own emotions and then also, of course, care of your family and spending time with them. Our patients don’t want us to burn out either. Our patients want us to be available, but they also want a doctor who is caring and empathetic and not a burned out, nerve-racked human being who is not functioning properly. I learnt a lot from Eric and Richard, and I sincerely appreciate their willingness to sit down and chat with me for an extended period. I look forward to learning from them into the future. Achieving your career goals requires goal setting, a task management system, and ruthless protection of your time. It also requires self-discipline, practice, and fluidity. You may experiment with different systems before finding the one that fits with your personality and work style. Once you do, and by applying the above suggestions, you will find that your skill and endurance will improve rapidly. Your career as an academic athlete will result in a sharp increase in productivity and, most important, both life and career satisfaction. Are you functioning as an academic athlete or could your routines and strategies do with some fine-tuning? Let us know how you wish to improve in the comments below!